This reminds me of Inspector Gadget. What else can this thing do!? Well it can only do two things but it saves the time in needing to have multiple items to do different jobs on our faces. 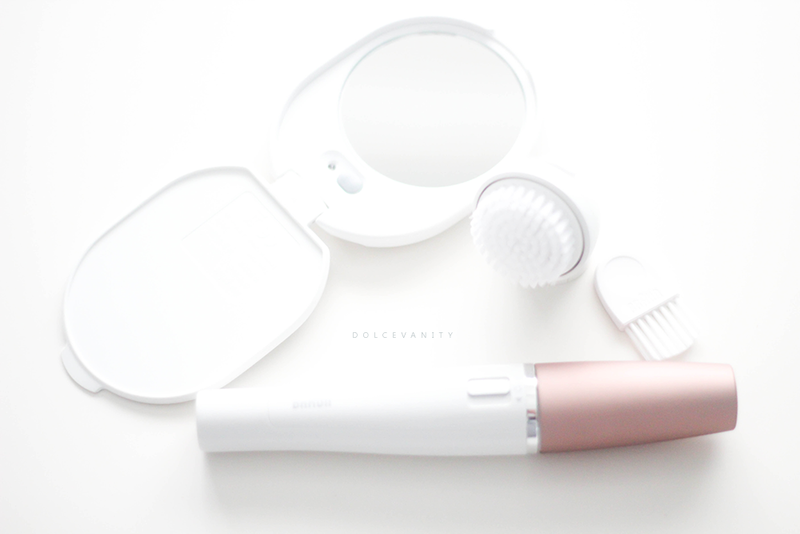 This here is a cleansing brush & an epilator. 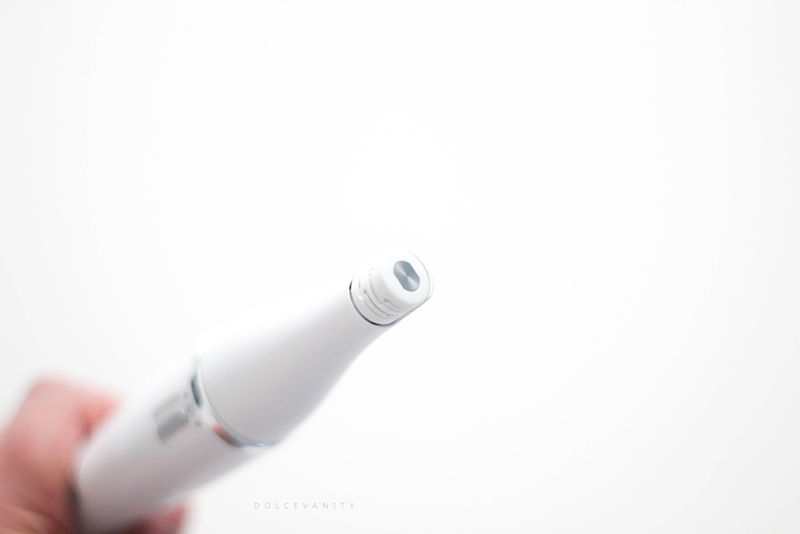 Above is the epilator attachment, the 10 micro openings grab even the finest of hairs 0.02mm. I've used this on my chin and upper lip. I mostly get hairs in the corner of my mouth, I just twist my mouth to the opposite side so the skin is taut, I find that works best for me. There is two directional settings, right & left and whichever way the hair grows you've got to use the direction in the opposite direction get my drift?! We gotta get those sucker's out from the root. Honestly I cannot give you a pain rating, pain thresholds vary from person to person and mines highly tolerable. Yes, I'm noticing the hair regrowth is slowing down, I use this probably every other week as I want to always grab out those hairs as they start coming through. Got to keep on top of that 'tache. I do this before my night-time routine (if honest I don't get as much redness as I would of thought) on a clean, dry face, once I've finished which is a quick enough job I always clean the appliance after each use and then I apply a soothing gel before I continue with my face routine a few hours later giving the treated area time to cool if needed. I've had a few cleansing brushes over time and I do like this brush. It's smaller than a few others I have but it makes for a more accurate cleanse around certain areas. My nose is one area I can suffer with dryness or very mild blackheads if it's not cleaned thoroughly. It works similar to most brushes except there isn't any different settings in the fact of, deep cleanse, sensitive skin etc it's one speed and you can change the brush direction to left or right. It's battery operated by 1 AA battery (not included) you get a cleaning brush, a pouch and an illuminating light, I love this light there's also a timer on it, can't say how long but it does switch off which is helpful as God knows I could just shut the lid and be done away with it and leave it burning. I do wish the brush had a cover for it as it would make it more hygienic when storing. 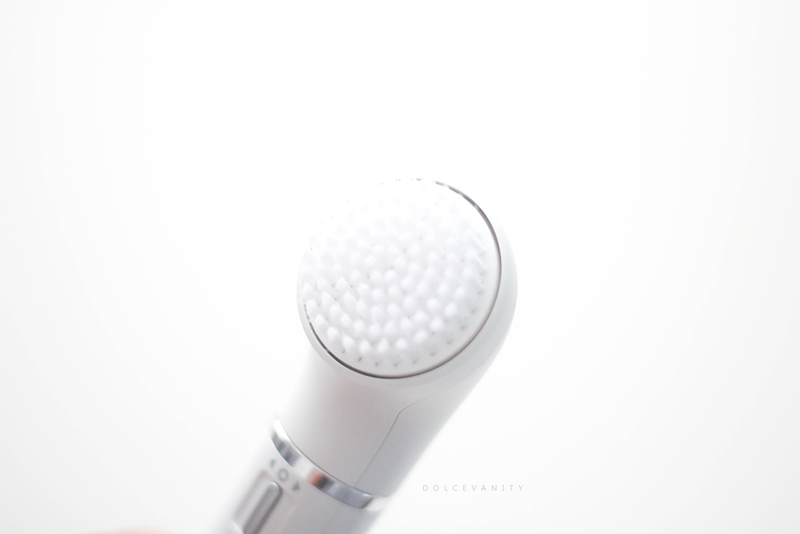 The epilator is very handy due to it being slim it's more precise for the upper lip / eyebrows / chin or forehead. I've tried it on my upper brows where the hair starts to join my hairline area and well who doesn't appreciate a smooth face after hair removal. How do you keep your face hair free & smooth?